Daintree Residence is working out a “special discount” for its sales launch this Saturday. Mr Neo Keng Hoe, general manager for the developer SP Setia, who said the average selling price of the development at District 21 is $1,800 per sq ft, hopes that the special discount will draw in more buyers at the launch. Daintree Residence is among the developments which are being launched after the new property cooling measures. The new development which opened for preview last week, has received more than 3,000 visitors to date. Daintree Residence is a new property launch by S P Setia International Pte Ltd, located along the quiet Toh Tuck Road in the Upper Bukit Timah. The 99-years leasehold development sits on a tranquil, low-rise enclave with lush greenery and is expected to be one of Singapore’s most luxurious residential condominiums. According to the developer, Daintree Residence will comprise 12 blocks (each 5 storeys high), 327 units in total and a mix of 1 to 4 bedroom unit configuration. 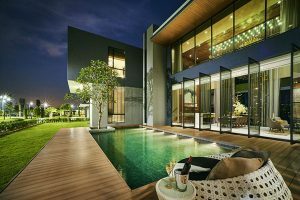 S P Setia is a veteran property developer that’s well known for creating and planning eco spaces and townships. So it’s fairly obvious that the Daintree Residence units will be super luxurious and extremely comfortable. Some of the notable features of the units include a high ceiling with good ventilation, spacious and lavish interior as well as huge balcony that can be converted into extra living space. If you are looking for a condo in Singapore where you’ll live, work and play, Daintree Residence could just be a great choice for you. Daintree Residence will feature a number of exciting facilities that can appeal to people of all ages. Some of the facilities available within the condo include a 50m lap pool, children’s playground, indoor gym and function’s room. Others include a BBQ area, Jacuzzi, guard house, tennis court and communal area. Beauty World MRT station is just 10 minutes’ walk away from the Daintree Residence, which allows residents to access other parts of Singapore with ease. There are also lots of roads and expressways like the Bukit Timah Road, Toh Yi Road and Pan-Island Expressway (PIE), which connect to the Central Business District (CBD) and the rest of the island. That means travelling or going to and from work and school is as convenient as it is cheaper. There are many schools found within the immediate vicinity of Daintree Residence, where children can get quality education. Some of these schools include Bukit Timah Primary, Yusof Ishak Secondary, Methodist Girls’ Primary, Pei Hwa Presbyterian Primary, Ngee Ann Polytechnic and Singapore Institute of Management. Those looking for an international school can take their children to German European School Singapore (GESS). Daintree Residence is located near a range of upscale malls that offer residents numerous shopping opportunities. While some are just a walking distance away, others only require residents to take a 20 or so minutes’ drive. Much as Daintree Residence has all the luxury facilities there is to desire in a modern home, residents might need to go out once in a while, maybe during the weekend or holiday. Bukit Timah Community Club is just a few minutes’ walk from the development and residents can take time off their rather busy schedules to attend culinary classes, dancing lessons and/or enjoy playing badminton. For residents who would want to enjoy a more nature-inspired outing, they can visit the Butik Batok Nature Park that showcases the best of Singapore’s plant and animal species. The Bukit Timah Nature Reserve is also a tiny distance from the condo development and it can be a great place for those who would wish to enjoy hiking through the forests and sightseeing. Daintree Residence received a total of 24 bids for its purchase and S P Setia submitted the highest bid of $265 million. Considering the highest bid price and the number of bidders who submitted their bids, analysts say developers are very optimistic about the development’s location. The average selling price of Daintree Residence at District 21 is competitively priced $1,800 per sq ft.
Are planning to purchase a unit or two in the new Tre Ver condo but have insufficient or no funds at all? Don’t worry because iCompareLoan mortgage broker can set you up on a path that can get you a home loan in a quick and seamless manner. 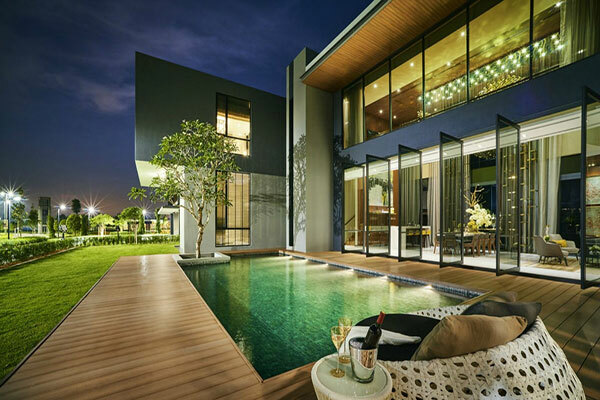 The broker has close links with the best lenders in town and can help you compare Singapore home loans and settle for a package that best suits your home purchase needs. Whether you are looking for a new home loan or refinance, the broker can help you get everything right from calculating mortgage repayment, comparing interest rates all through to securing the loan. And the good thing is that all their services are free of charge. So it’s all worth it to secure a loan through them. Next articleShould You Use a Credit Card to Pay University Tuition?